So I have to admit that I am a blog stocker. I read peoples blogs even though I haven’t met them and don’t know who they are. It’s just fun. (Devin thinks I am weird) Though most of the blogs in my list to the right are family and friends, there are a few random blogs that I have come across from blogs of blogs of blogs of family and friends and they are really good and worth reading. There is so much good stuff out there, so many stories and miracles. 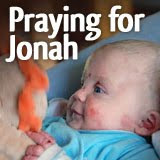 My Charming Kids is a blog by a mom of 4 kids under the age of 4 with last one, little Stellan, a miracle from God. Flip Flops and Applesauce is a blog with daily ideas for crafts and projects for young kids. I can't wait to do some of these with my little one. Check them out. Today I am 9 weeks and 0 days into my pregnancy and I can’t believe how much this little wonder is growing and developing. It’s so amazing. 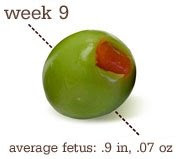 Baby J is about the size of a green olive, the heart is beating about 150 beats per min (that's about twice as fast as ours), the limbs have started to form, the head is taking shape, the nose, lips, and eyelids are taking form, and the kidneys have formed. I can’t feel this little life moving or see any changes from the outside or hear it’s heart but wow. Thus far I have been very blessed with a good 1st trimester. I have had only minimal nausea (mostly in the evenings) and I have only thrown up 4 times (small amounts). I've been very tired, have little energy and not much appetite. However, compared to the stories I have heard about 1st trimesters I am feeling great. So it all started June 18, 2008 when I met Devin at Starbucks for our first date. From there it was baseball games, horseback riding, dinners, hiking, walks on the beach, ferry rides, the ballet, rock band parties, getting engaged, Buschart Gardens in Victoria, Christmas and of course wedding planning. We sealed the deal on March 22, 2008 and never looked back. Since then it has been honeymooning in Puerto Rico, tulip festival, hiking, Leavenworth, art walks, San Francisco, corn mazes, halloween, Las Vegas, snow days, our first Christmas, date nights, and Oregon Coast and California road trips. That's right. We're pregnant! And we are so excited. We found out on Christmas day. It's our Christmas Miracle. We took the test even though it was 2 days before my period was to start, but we've been trying and it was Christmas so we though we'd test... and it was postive, twice! We had our first OB appt. last Tuesday and everything is as it's supposed to be. 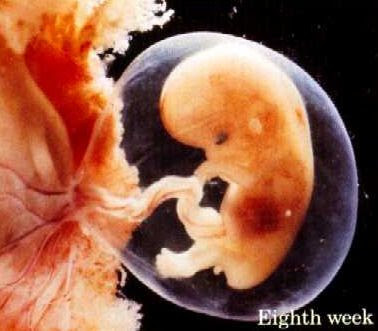 I am 8 wks along, it's going to be hard waiting 7 more months.